Our gracious Kansas hosts, Bertie Winchester and Cooncan, put us up for a couple of nights so we could come shoot with them and spend time catching up. 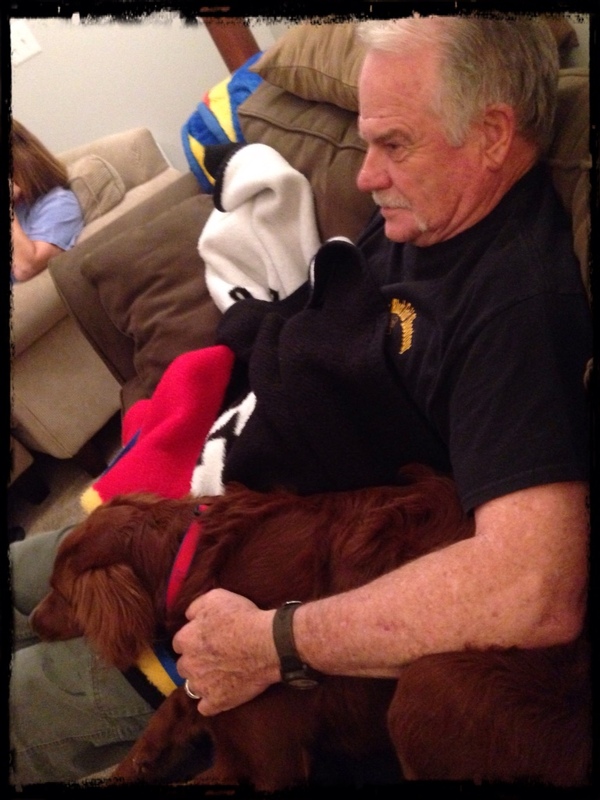 We met the new addition to the family, Sully, who was a bundle of energy, keeping us entertained and for at least Friday night, Jack seemed the flavour of the day. 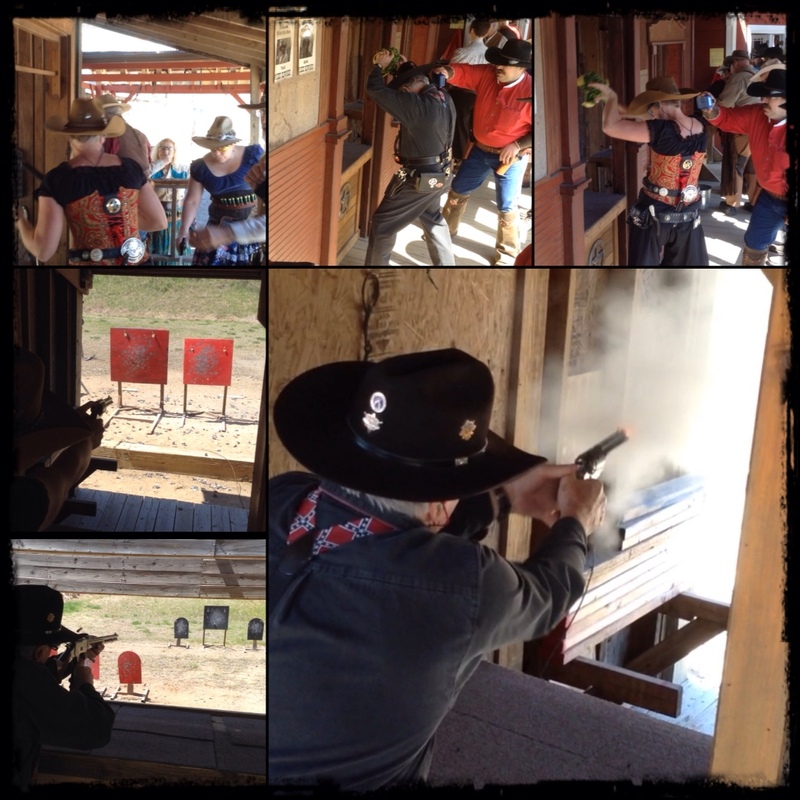 We headed out yesterday to Lenexa where the Powder Creek Cowboys hosted their monthly match in perfect weather. 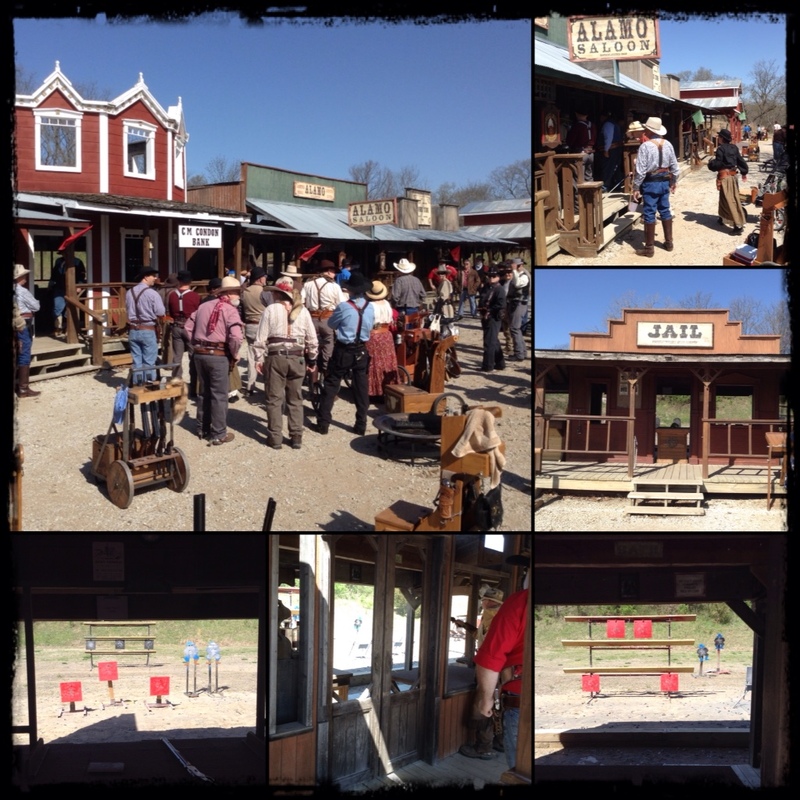 Some 64 cowboy's and cowgirl's turned out for it and before long we were shooting 5 stages. This is a good practice place with target placement, varied distance, height, shape and diameter making for an interesting shoot. We almost had a mini version of our Land Run posse with Jack, myself, Bertie Winchester, Cooncan, Fannie Kicker and Titus A. Gnatsass. 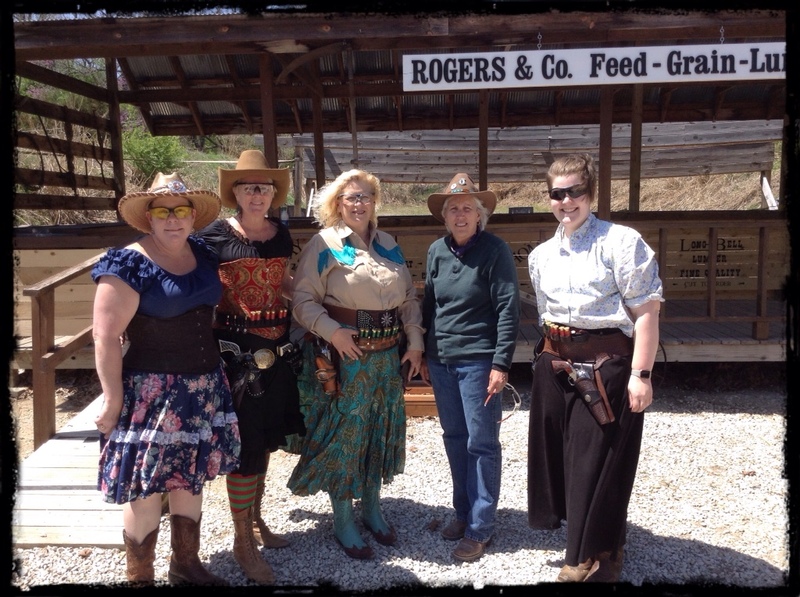 We were missing Bertie in this picture of the ladies of our posse which included from Iowa, Hail Hot Mary and Gunslinger Grace. We spent the afternoon chatting, trying to fix the speaker for tunes, drinking beer (well maybe that was just me) and enjoying the fresh air and sunshine, all while Jack snoozed. It was a fabulous visit getting to meet more of their family and we certainly appreciated the hospitality. This morning we left them and headed for Kansas City, MO. 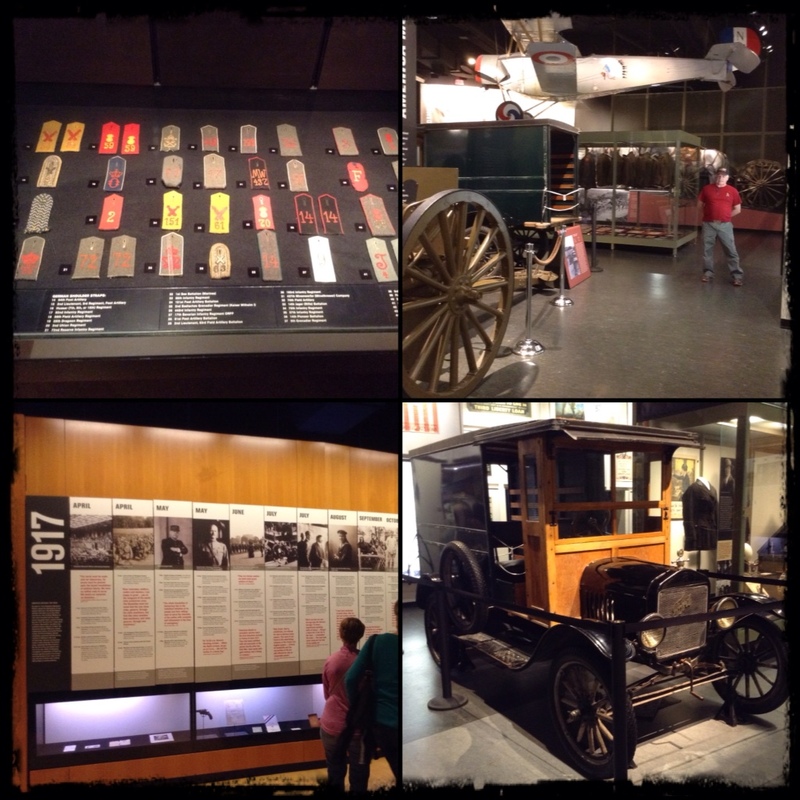 Last time we stopped in at Union Station and every bit of history it had to offer. 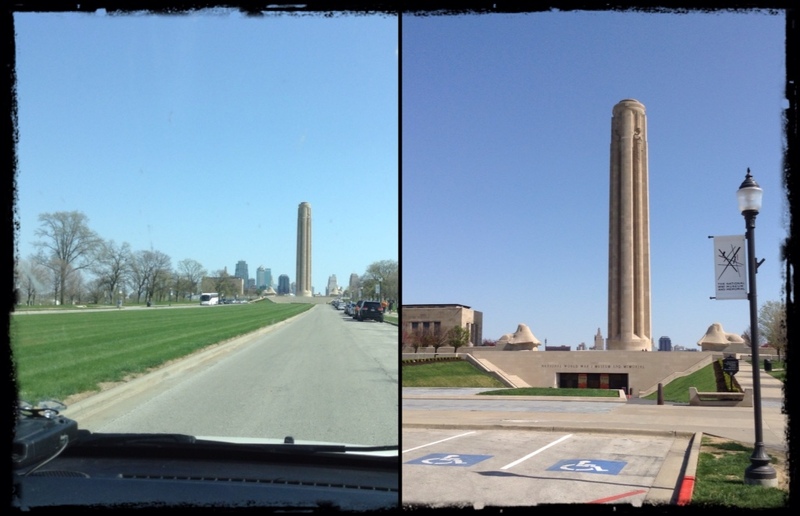 THIS time we headed back near there to The National WWI Museum and Memorial. At the end of Memorial Mall (like ANZAC Parade is to the War Memorial in Canberra) is the Liberty Memorial with the museum being a sub terrace to it, the Assyrian Sphynx's, Cinerary Urns, Exhibit and Memory Hall's. As you enter along the black granite causeway to massive bronze doors, it opens to a glass and light filled entrance. 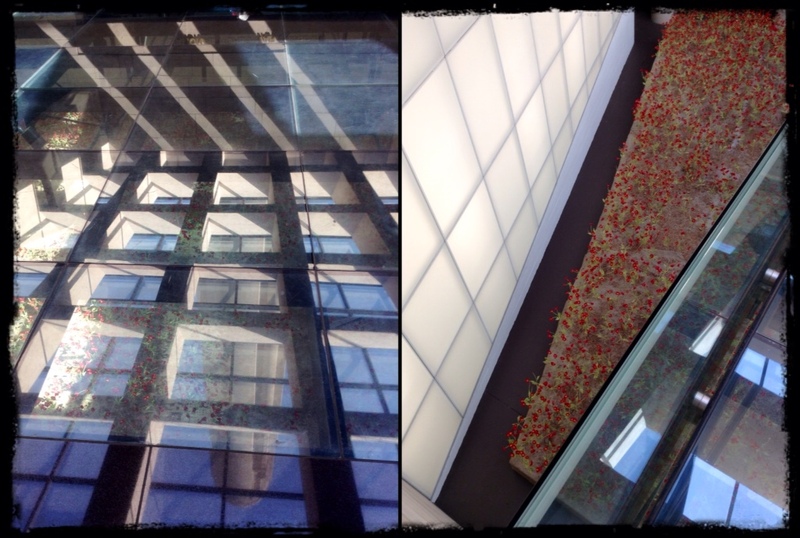 The glass walkway to the exhibit halls allows a view to the poppy field below. Each of the 9000 poppies represents 1000 deaths. Nine million souls perished during WWI. If you catch the reflection juuuusst right you can get a view of the Liberty Memorial in the glass with the poppies as well. Next we went into the 12min video of how the beginning of World War I commenced and then into the beautiful exhibit galleries. A very well thought out display with timelines, personal accounts and more. 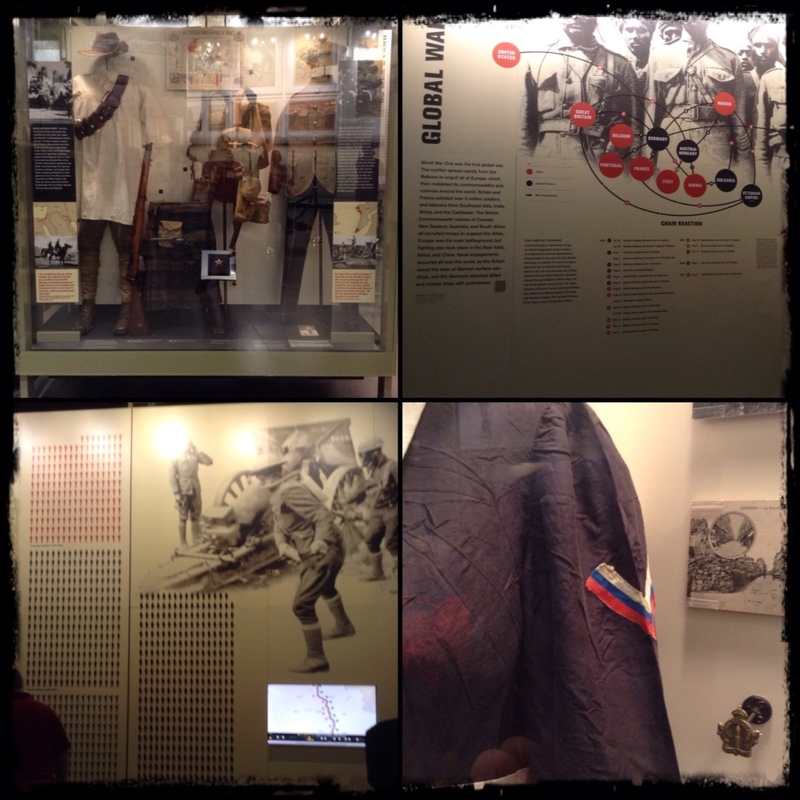 As we moved through each gallery space there were many artefacts, uniforms, firearms etc. 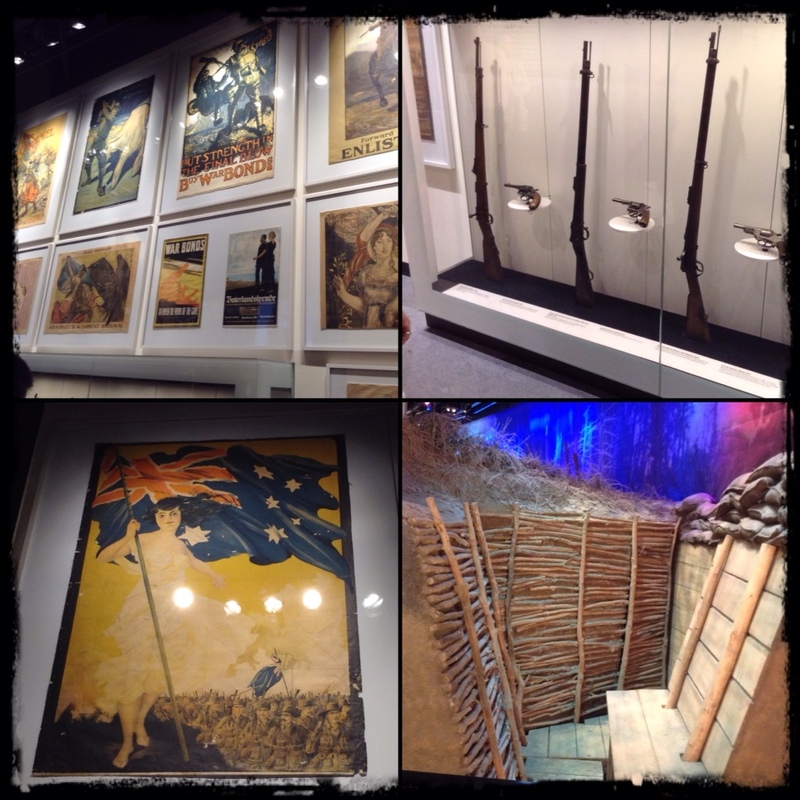 There were life sized trench dioramas with sound and ambient lighting. 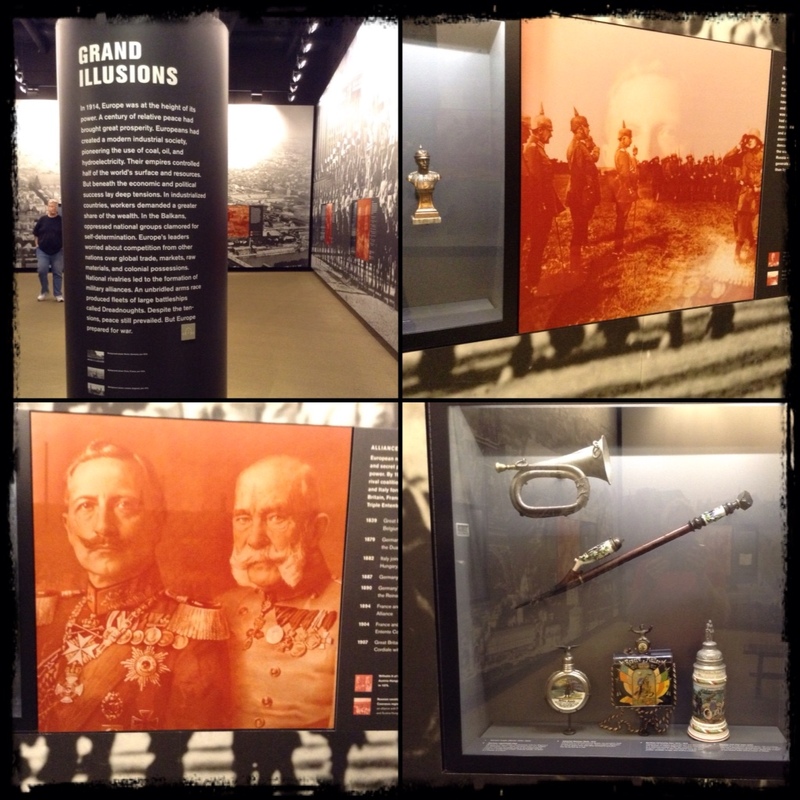 Propaganda posters, medals, heavy artillery and so much more. 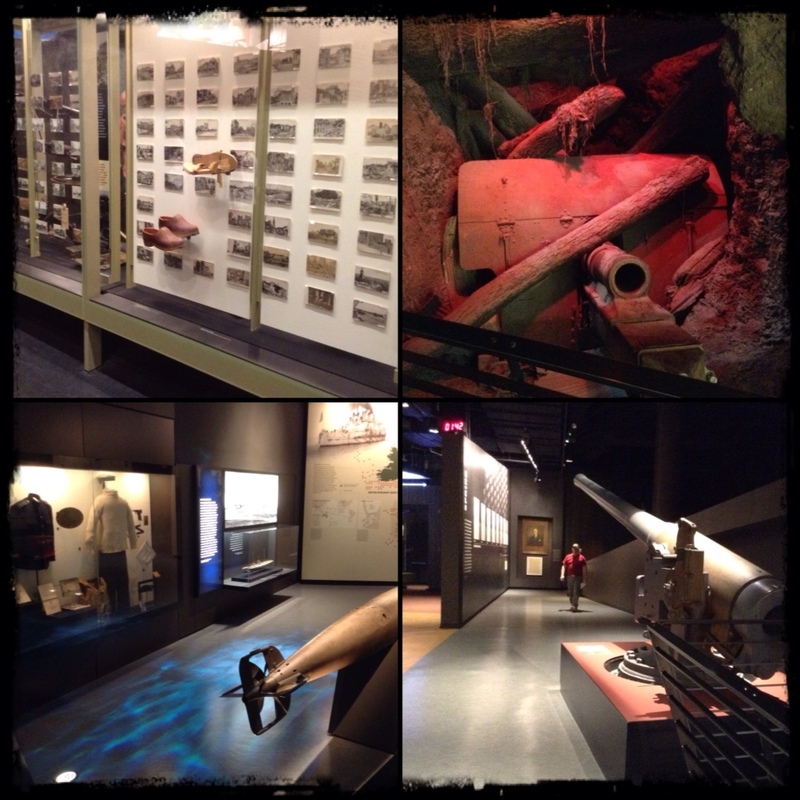 Towards the centre of the exhibits are another full on trench and battlefield setup with a short film across a grand screen, interactive tables depicting anything from camouflage to air combat, sound booths for personalised accounts, prose etc. 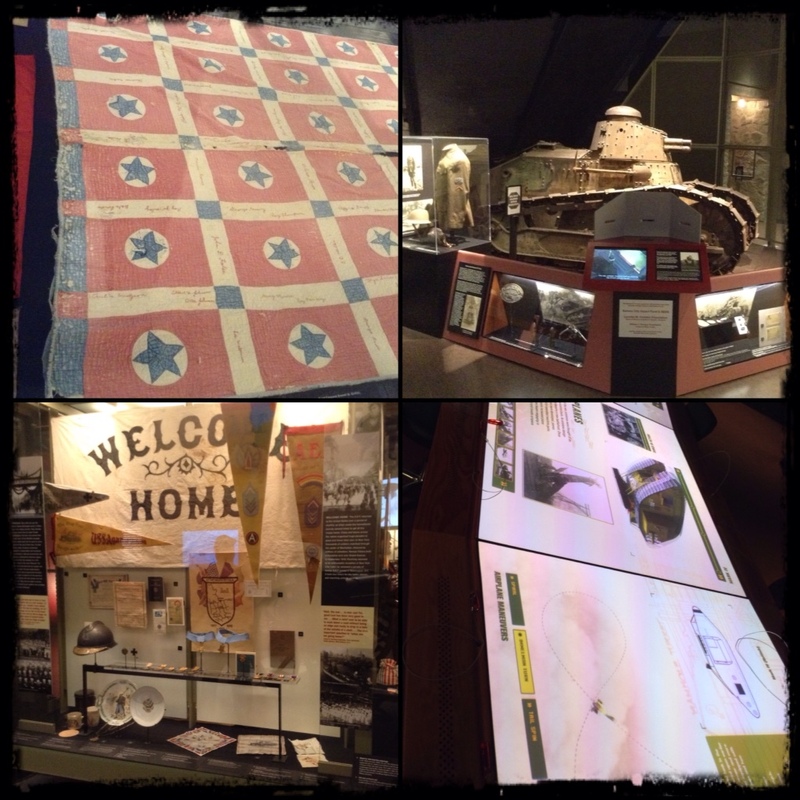 This is a very well thought out museum moving through the timeline culminating in the entrance of the United States into Allied forces during the campaign. 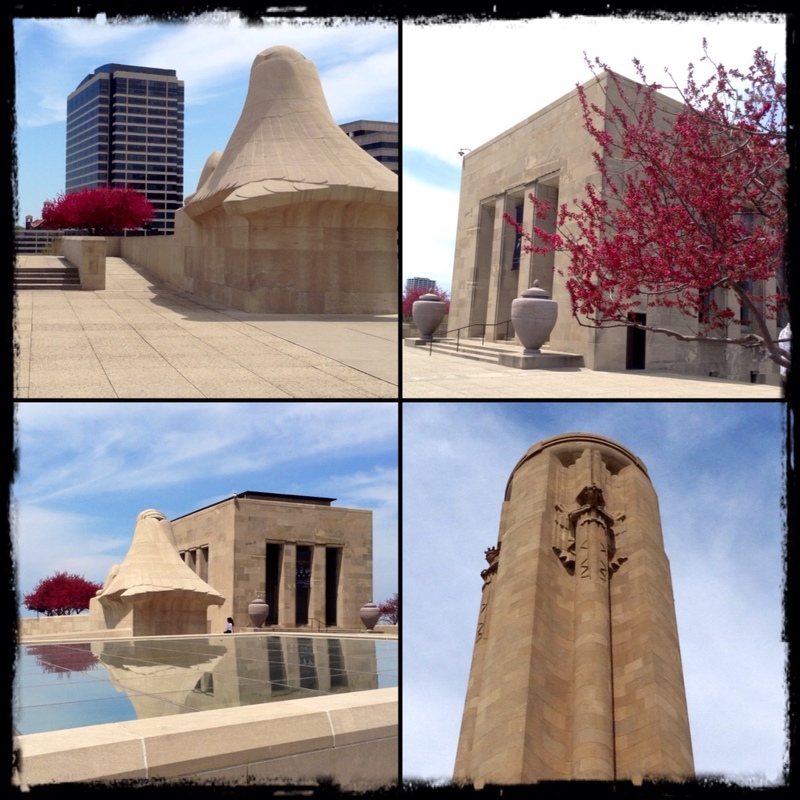 We finalised our tour by taking the elevator to the upper level and the courtyard surrounding the Liberty Memorial and the Assyrian Sphynx's. The Sphynx's as stated in the brochure – 'Memory' faces East toward the battlefields of WWI, shielding its eyes from the horrors of war. 'Future' faces West, shielding its eyes from an unknown future. I regretfully state that we decided we needed to get on the road and did not see the Exhibit Hall or the Memorial Hall 😦 during the car ride home I realised we had missed one of the main things I did want to see. The Exhibit Hall features flags of the allied nations in the order they entered the campaign. The Memorial Hall houses the largest fragment of the 'Pantheon de la Guerre' and includes bronze tablets with the names of 441 Kansas Citians that died in WWI. Disappointed much. However, IF you ever get the chance to go through Kansas City, please do allow for a visit here. 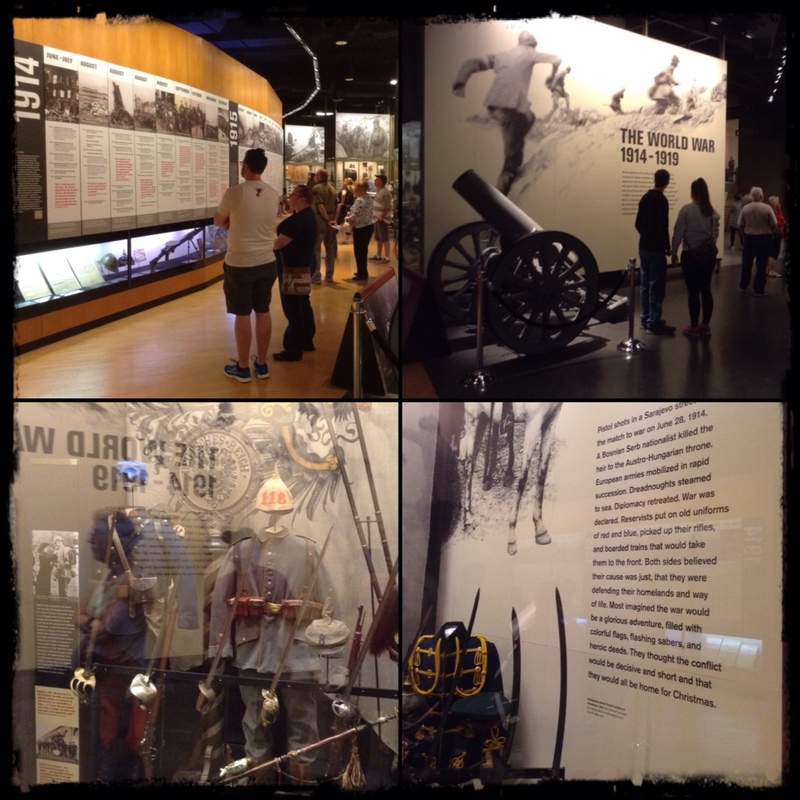 It was fantastic, very moving and just a stunning facility. 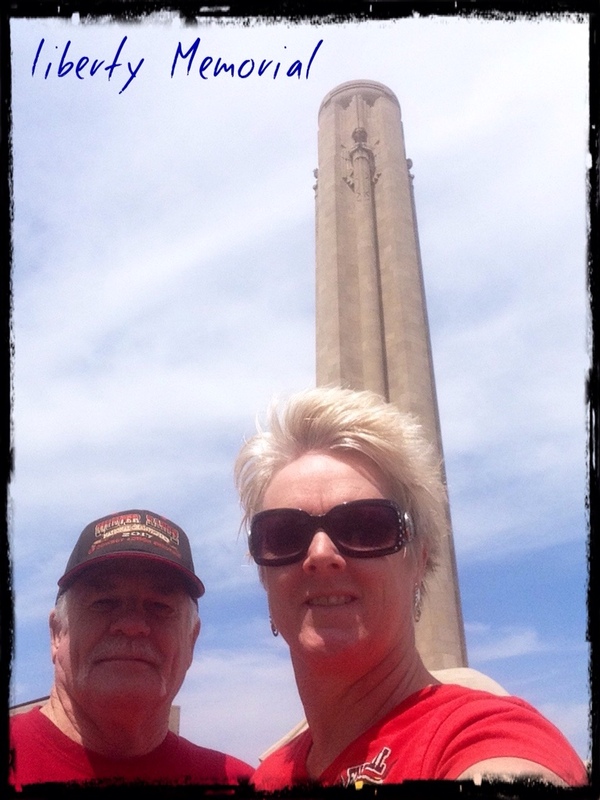 A great way to end our quick trip to Kansas/Missouri, thanks again to our wonderful hosts (actually saw a couple of cowboy's in the museum) and now we are back in Oklahoma getting set to head south to Leonard, Texas this next weekend. Hope you have had a wonderful weekend wherever you may have been. This entry was posted in Lifes a Dance, Love My Life, SASS and tagged Air Force, Australia, bronze statues, cowboy action shooting, Firearms Collections, France, friends, Germany, Italy, Kansas, Lenexa, military, Powder Creek Cowboys, Single Action Shooting Society, United States of America, USTrip, world heritage. Bookmark the permalink.